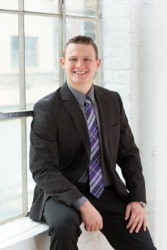 Jacob is a graduate of Iowa State University with a Bachelor of Science degree in Finance. Outside of his academic background in business, Jacob has extensive experience in home construction gained while working for a homebuilder in Lansing, Iowa. As an onsite builder and a sales associate, he utilized his diverse skill sets to offer clients guidance and peace of mind in the homebuilding process. The skills he gained in the homebuilding industry allow him to understand a good purchase decision and assist buyers in making that decision. In his spare time, Jacob enjoys spending time with friends, lifting weights, boating, and reading the latest business news. With his experience and strong work ethic, Jacob’s goal is to provide a premium service of buying and selling homes in the Twin Cities area.